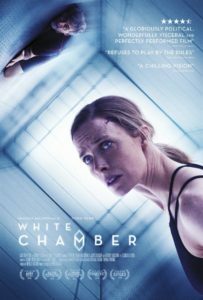 Dark Sky Films announces the releases date and trailer debut for “White Chamber”, which stars Shauna MacDonald and Oded Fehr Star. “White Chamber” poses the question: can there even be such a thing as certainty in these most uncertain of times? This entry was posted in Indie, Movies by admin. Bookmark the permalink.